Prof. Gayatri Spivak (Columbia University) recently made a two-day visit to the University of Houston. Prof. Spivak’s evening talk on Jan. 29th was entitled, “Lessons from my Travels.” A storify of the live tweets (courtesy of Jeff Villines and Matt Salesses) can be found here. 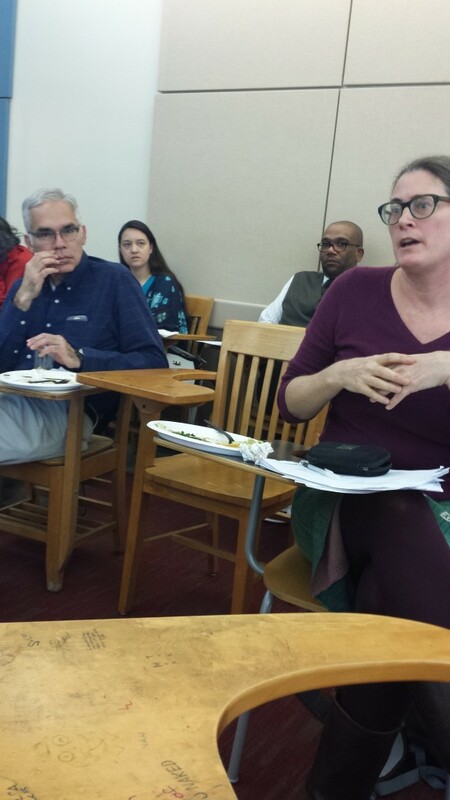 On Thursday, January 29th, 2015, the University of Houston Empire Studies group hosted a public talk by Columbia University Professor Gayatri Chakravorty Spivak. Titled “Lessons from My Travels,” Spivak’s lecture addressed the complexities of her experience teaching between the metropolis of New York and the rural villages of Calcutta. Among her string of lessons lies the core of her pedagogy: to “teach the intuitions of democracy” on both sides of the globe in order to foster an unconditional ethics. This project is entailed by what Spivak has described as the “slow cooking of the soul.” Reading, then, for Spivak, is the space of the ethical in which the intuitions of democracy simmer. 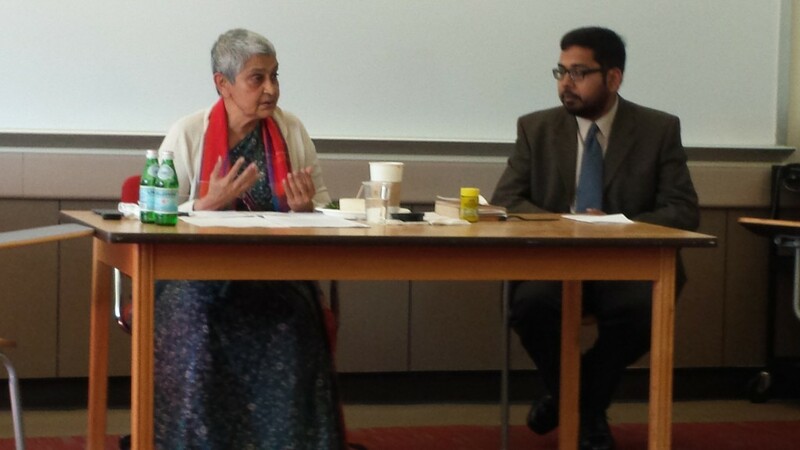 Spivak’s epistemological performance only intensified after Majumder’s question. The following topics addressed included the significance of aesthetic education in the context of globalization, the postcolonial critique of the Enlightenment, African American writers in context of postcolonialism, writing as the new literacy, and her development as an academic writer. Provocative as these discussions were, the topic on the politics of translation brought together many of her underlying concerns. “Ethics is hard to translate,” she averred, especially when considering unsystematized mother tongues of Africa. Conferring them as “fantastic survivor languages” that are protean in practice, Spivak views them as examples of the incalculable, challenging and undoing our ideas of translation. 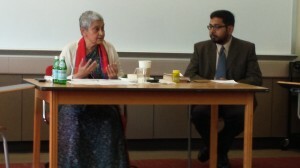 To add a layer to the process of undoing, Spivak advised: “We ought to rethink the idea of translation itself when orality can go directly to digitality.” In other words, our notions of translation are undone when African languages elude the all-encompassing eye of digital communication. If there is one lesson Empire Studies should take from Spivak’s insights that afternoon, it should be her insistence of active self-reflexivity. 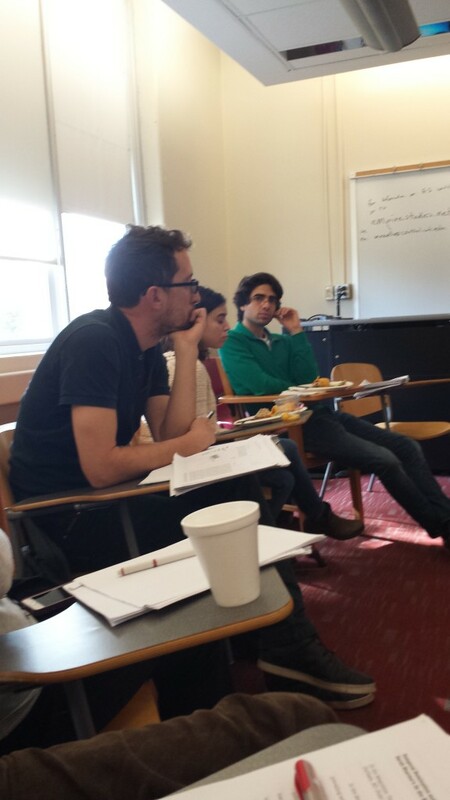 The drive to rethink seemingly concrete political concepts, such as Development, inheres, for example, in her questioning of the term ‘postcolonialism.’ Emphasizing postcolonialism as a “historically bounded” discipline, she reminds us of the importance of acknowledging a precolonial space “outside of the play of capital and colony” in order to “study the presence of the longue durée in the contemporary.” As for the teacher of the sciences and humanities, the only thing she can teach is the notion of waiting for the unexpected down the road—anticipating the incalculable that will undo the notion of digital idealism: that it can catch everything. 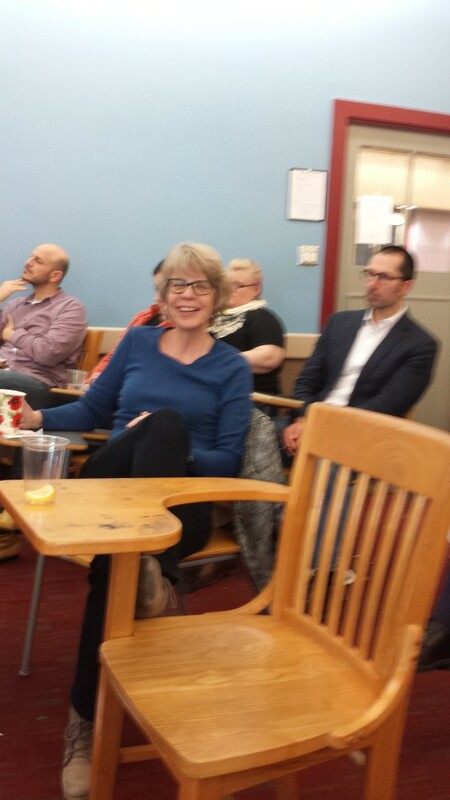 A link to the UH English department’s post on the event can be found here.